On Thursday 26th August I attended the Turning Tides Stay Safe event. Despite the dreary weather the event was really well attended and a great success. 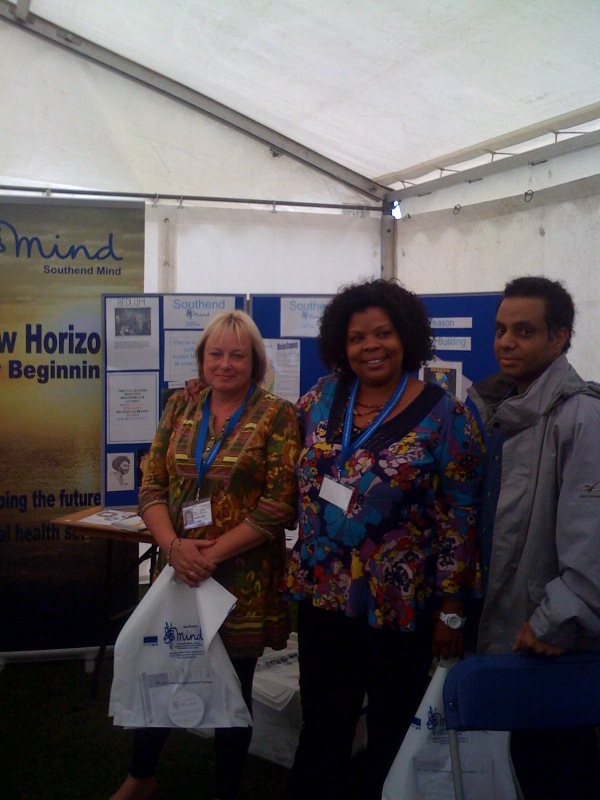 The event included displays from different organizations in Southend. As well as this, there was a bouncy castle, face painting and craft activities for children. It was great as there were lots of Kursaal residents there, many of whom I had the opportunity to meet and chat with. In line with much of what Turning Tides aims to achieve, the event really brought all aspects of the community together. Young and old residents joined together and took a great deal of interest in displays provided by SOS bus, Essex Police, Mind, CAB to name but a few. A Kursaal resident commented that they had attended the event for four years and that their children enjoyed it as there were lots of activities to keep them entertained.